DeMoulas Super Markets Inc also known as Market Basket runs a chain of super market in New Hampshire and Massachusetts. The grocery store operates in about 69 locations and was ranked 43 rd position in Top 75 North American Food Retailers in the year 2010. Consumer Reports ranked DeMoulas Super Markets in 7 th place in 2012 survey. The company was founded in 1917 and has headquarters in Tewksbury, Massachusetts. The supermarket chain offers a wide range of products such as Bakery Dairy, Deli, Frozen Foods, Grocery, Meat, Health and Beauty Aids, Produce, Seafood, Snacks, Beer and Wine, Market's Kitchen, Sub Shops, Sushi Bar. 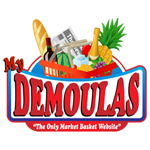 There are currently 7 consumer reviews about Demoulas Super Markets Inc available. Share your review. Store # 15 2 Water Street Haverhill, MA 01830 978-372-0576 Time of check-out 15:34:23 Upon entering this Market Basket Grocery Store, I proceeded to return 3 cans at the recycling machines inside the front of this store. All of a sudden I was barraged by huge green flies that came out of the machine and then stayed on and around the machine. It was disgusting! I immediately alerted the front end manager who gave a look and I went to the service desk and a manager was there , so I told him about it. Neither man seemed pleased that I had something to say about this health hazard to me and any shoppers in this food store! I called the Main Offices of Market Basket @ 978-851-8000 at 3:40 pm this same day, but the answering device stated that the Market Basket Headquarters were closed! I called the Haverhill Store in question back to see if the store director, Stephanie Schwechheimer was available but I was told that she is on vacation. I asked when Headquarters closes and I was told 4 pm. So why wasn't anyone answering the telephones at headquarters to assist me in keeping shoppers and myself healthy and safe while shopping at Market Basket? I have alerted the Haverhill Board of Health and hopefully an inspector will investigate this matter. Since Market Basket is the only food chain in Haverhill, you think that its shoppers would have a clean downtown store to shop in. I do not intend to shop at this location ever again risking my personal health. And in case of an emergency, why isn't there someone to contact at headquarters 24/7 ? I live in Norwood Ma and have to drive to Ashland or Brockton to shop at Market Basket. I wish that we had a store closer than these two locations. I have to shop at other local markets which i do not like but they are closer. There are numerous Market Baskets on the North Shore and I was wondering why we don't have any close by in our area. I will not be shopping at Market Basket unless and until Arthur T. Demoulas is reinstated as CEO. The disrespect that Arthur S has shown to employees and customers is reprehensible. It speaks volumes that the entire staff has walked out on the job. My Demoulas card is cut up and in an envelope along with a letter to the Board of Directors. Arthur S. should have learned by now that kindness to staff breeds good business. You have lost a customer. The lady behind me at Shaw's on Saturday will not be shopping there either. Have a good day. Americans have said overwhelmingly that they do not want genetically engineered salmon or other genetically engineered seafood to be approved by the Food and Drug Administration and would not eat it if approved. Despite the public outcry, the FDA has stated it will not likely label genetically engineered seafood. But some stores have taken a stand and let their customers know that they can safely shop without fear of unintentionally buying genetically engineered fish. Demoulas Market Basket is not on this list. I LOVE SHOPPING AT MARKET BASKET, IT IS THE BEST STORE FOR FRESH PRODUCE AND MEATS ARE GREAT, THE STAFF IS FRIENDLY, I CANT WAIT TILL YOU PUT UP THE STORE IN SOUTH ATTLEBORO, I AM JUST AROUND THE CORNER FROM IT. I've shopped at the Market Basket in New Bedford, MA, since it opened. After a recent blizzard where power was out for several days, all other grocery stores in the area sold only non-perishables when they reopened...not the Market Basket...they put their tainted products on sale...Unknowing to me I purchased 3 packages of Perdue Fit and Easy individual serving of chicken breasts...they are usually frozen but weren't (which should have been a red flag). Well, I am almost recovered, after 5 days, from eating chicken gone bad. It was tasteless and chewy. I wrote to Perdue to tell them what happened to their product. Hopefully they will contact this grocery store. People die from eating bad meat. Shame on the Market Basket. I will never step foot in any of their stores ever again and am spreading the word far and wide. Please take a note that you are about to post a public review about Demoulas Super Markets Inc corporate office on CorporateOffice.com. This review will be public, so please do not post any of your personal information on this website. If you would like to contact the corporate offices of Demoulas Super Markets Inc, please use their contact information such as their phone number, website, and address listed above to contact them. However, sometimes staff from Demoulas Super Markets Inc headquarters do read the reviews on this website.